The Queen and Kate Middleton's FIRST solo outing- LIVE BLOG | HELLO! 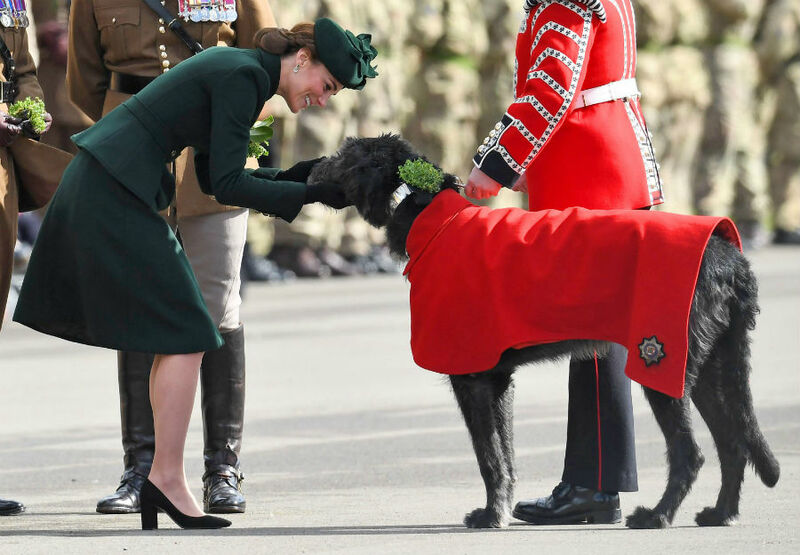 Last modified on 2019-03-19 at 12:33:15 Chloe Ash The Queen and the Duchess of Cambridge will visit King's College London to reopen the newly renovated Bush House, their first solo outing together. The Queen and the Duchess of Cambridge are undertaking their first ever solo engagement together - and we will be watching with all of the latest updates from their exciting visit! The pair will visit King's College London on Tuesday to reopen the newly renovated Bush House, the latest education and learning facilities on the Strand Campus. Although the Queen and Kate have of course attended many events together alongside other members of the royal family, we're excited to see them pair up for this special occasion! 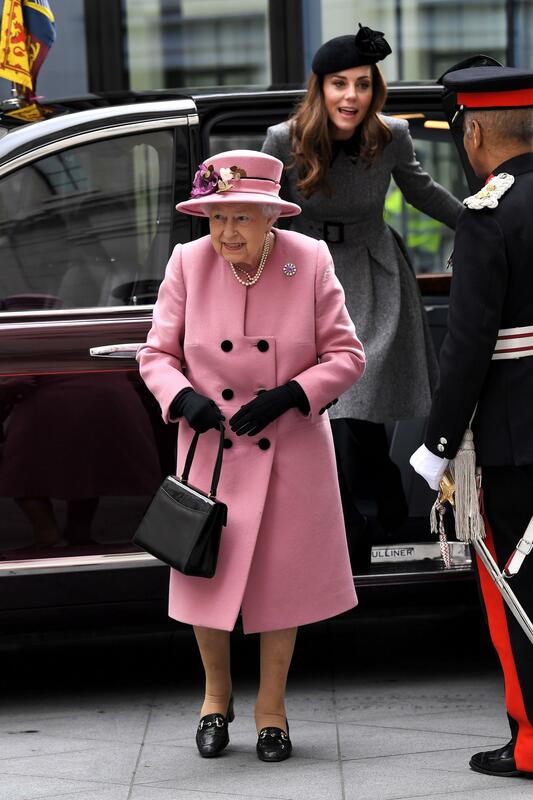 This will not be the Queen's first visit to King's College, as she is a patron and has previously visited the campus back in 2002 and 2012 - and so will be able to show her granddaughter-in-law the ropes! Whilst touring the new facilities, they will view the robotics demonstration and visit a virtual trading floor, meeting students from the Entrepreneurship Institute. The Queen will also unveil a plaque to formally open Bush House. The Queen and Kate have an exciting schedule today, touring the facilities and meeting the supporters of the development! The pair will even get to view a robotics demonstration, where they can see how robotic surgery can be carried out- super cool! Councillor Lindsey Hall, Lord Mayor of Westminster and former prime minister John Major are awaiting the arrival of the Queen and the Duchess of Cambridge! 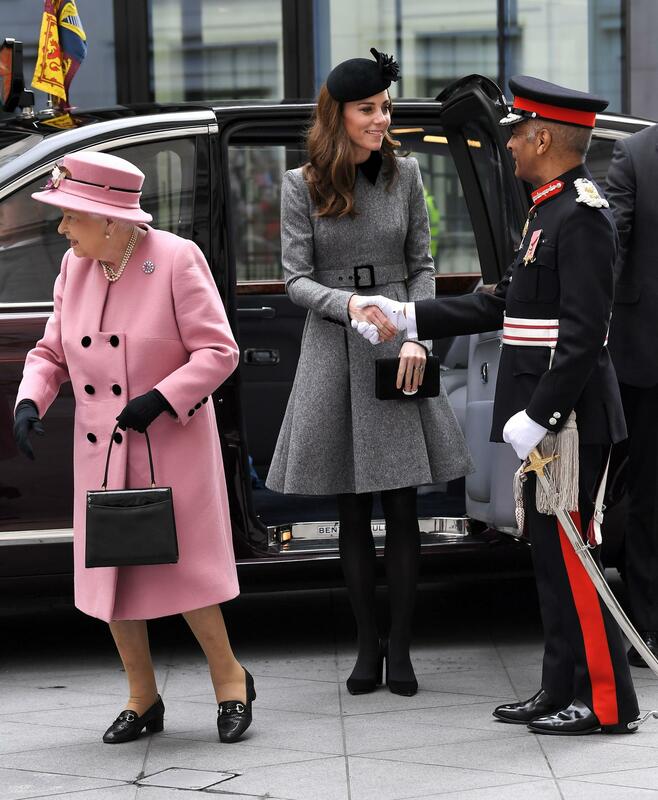 The Lord-Liteutenant of Greater London, Sir Kenneth Olisa, greets the Queen and Kate upon arrival! Kate opts for a grey Catherine Walker coat dress, with her luscious locks looking as beautiful as ever! Later today, Kate will visit the Founding Museum to learn how art is a key tool for vulnerable and marginalised young individuals in society.